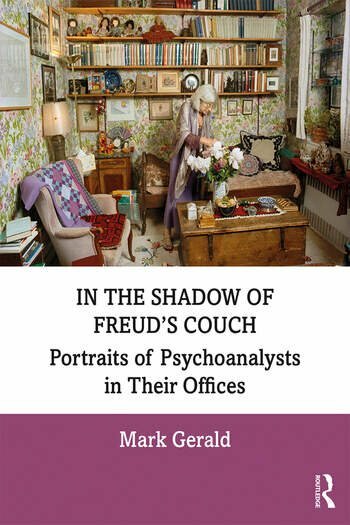 In the Shadow of Freud’s Couch: Portraits of Psychoanalysts in Their Offices uses text and images to form a complex portrait of psychoanalysis today. It is the culmination of the authors fifteen-year project of photographing psychoanalysts in their offices across 27 cities and 10 countries. Part memoir, part history, part case study, and part self-analysis, these pages showcase a diversity of analysts: male and female and old-school and contemporary. Starting with Freud’s iconic office, the book explores how the growing diversity in both analysts and patient groups, and changes in schools of thought have been reflected in these intimate spaces, and how the choices analysts make in their office arrangements can have real effects on treatment. Along with the presentation of images, Mark Gerald explores the powerful relational foundations of theory and clinical technique, the mutually vulnerable patient-analyst connection, and the history of the psychoanalytic office. In the Shadow of Freud’s Couch: Portraits of Psychoanalysts in Their Offices will be of great interest to psychoanalysts and psychoanalytic psychotherapists, as well as psychotherapists, counsellors and social workers interested in understanding and innovating the spaces used for mental health treatment. It will also appeal to interior designers, office architects, photographers and anyone who ever considered entering a psychoanalyst's office. Mark Gerald is a practicing psychoanalyst and trained photographer based in the USA who has written, presented, and taught widely about the visual dimension of psychoanalysis. He is a faculty member of the New York University Postdoctoral Program in Psychotherapy and Psychoanalysis, the Stephen Mitchell Center for Relational Studies, the National Institute for the Psychotherapies and the Institute for Contemporary Psychotherapy.